Explanation: At first called "Easterbunny" by its discovery team, officially named Makemake is the second brightest dwarf planet of the Kuiper belt. The icy world appears twice in this astronomical image, based on data taken on June 29 and 30 of the bright spiral galaxy NGC 4725. Makemake is marked by short red lines, its position shifting across a homemade telescope's field-of-view over two nights along a distant orbit. On those dates nearly coincident with the line-of-sight to the spiral galaxy in the constellation Coma Berenices, Makemake was about 52.5 astronomical units or 7.3 light-hours away. 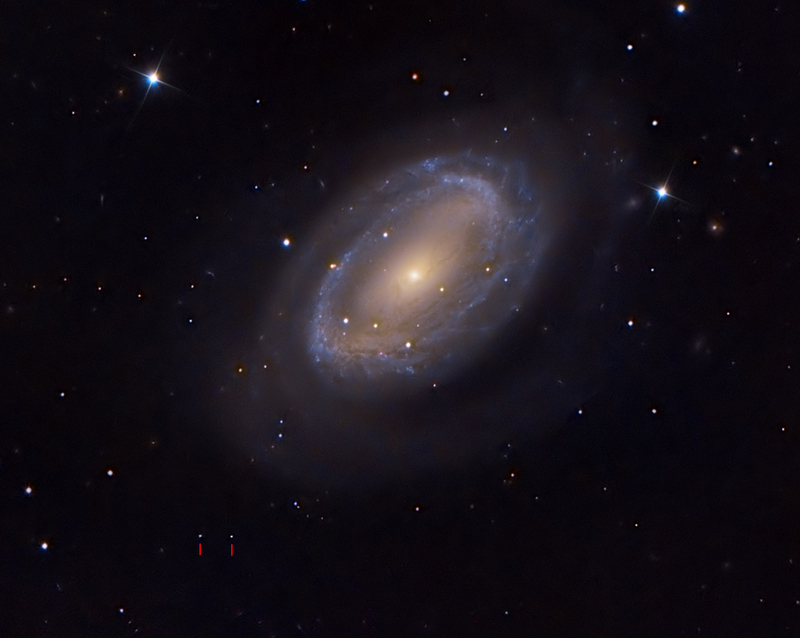 NGC 4725 is over 100,000 light-years across and 41 million light-years distant. Makemake is now known to have at least one moon. 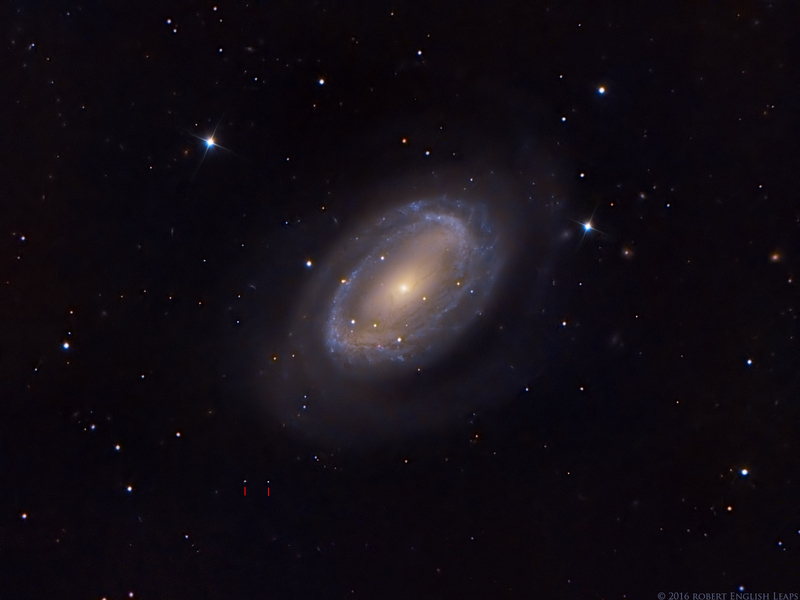 NGC 4725 is a famous one-armed spiral galaxy.